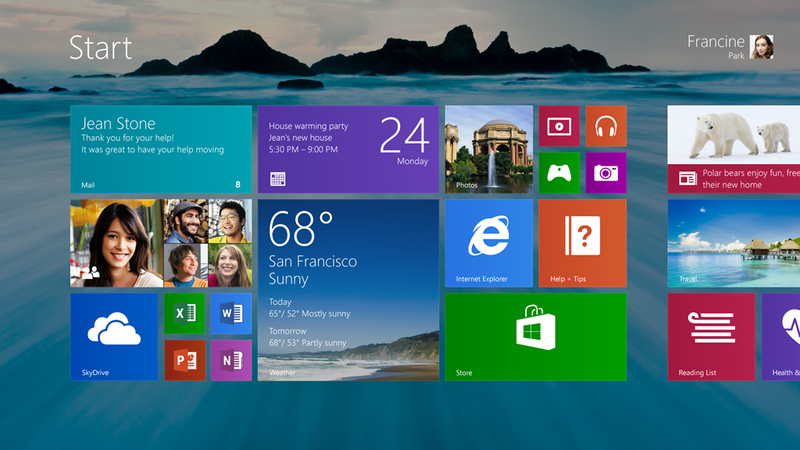 Windows 8.1: Better without the start menu? Details on the much awaited Windows 8.1 were released to the public at this past week’s Build conference. Microsoft seems to have relented a bit on the taskbar design in Windows 8.1, having added back the Start button that was previously missing since the initial release. Many critics see this a half measure on the part of the Windows 8 team, since the new Start button opens the Windows 8 Start Menu and not the legacy Start Menu from Windows 7. Those critics seem to want new software developed for them, but resist changes or innovation. This makes some of the criticism toward Windows 8 is unwarranted. Much has changed in how we use PCs since the introduction of the Start Menu, and I’m not just talking about the rise of the tablet market. Here’s why Windows 8 is better of in this new direction. The Start Menu was first implemented as a part of Windows 95. It’s been 17 years. Seventeen years. I’ll just let that sink in for a moment. Sure, the design has changed a bit since then and many features have been added in the meantime. It’s not a bad solution, but it’s closer to a “1995” solution than a “2013” solution. Today’s machines are much faster. These days, users expect quick access to application and information and the old start menu just doesn’t serve that purpose well. First, you click the start button to open the menu, click again to open All Programs and then you scan the tiny menu for the folder that the application is in. If it happens to be named according to the developer of the software and I’m looking for the application name, chances are that I may not find it quickly. There’s a much better way of doing things, and it’s been offered in Windows for quite a while now. Let’s leave 1995 behind. Windows search is fast and it works great. Many power users have taken advantage of the great search features in newer versions of Windows, not just in Windows 8. It’s nothing new, but despite the public opinion against Windows 8’s Metro UI as a whole, the use of Metro for search presentation is new, and it’s fantastic. I’m not sure why it’s worth the bother of launching Microsoft Word through the old Start Menu when I can just hit the Windows key, type “Word”, hit enter and it’s almost as if it is done for me. I admit, the Windows 8 Start Menu really isn’t a “Start Menu” as you’re used to using it. Think of it as a middle ground between the taskbar and the “All Programs” menu from the old Start Menu. Perhaps you can see it as an updated version of Quick Launch, if you prefer it that way. For applications you use all the time, you pin them to the taskbar, or you could even use desktop shortcuts. Applications that you use often, perhaps daily or weekly, can be organized for easy access on the Windows 8 Start Menu. For all else, there’s search. 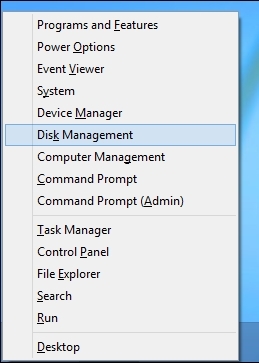 The power user menu in Windows 8, found by right clicking in the bottom left corner. This menu combines all of the most commonly used system administration features into one quick and easy shortcut. The overhaul to the Task Manager and File Management dialog are also some of the best features added to Windows in recent versions. The pity is that these features are great for server administrators, but many can’t take advantage of them because they refuse to use Windows Server 2012 with the Metro UI included. It’s OK to not like the Metro look. I agree with many of the complaints about the Windows 8 UI, including multitasking with Metro apps and the lack of a windowed mode. What with Windows 8.1 adding the ability to boot directly to the desktop, between the use of the taskbar and Windows search you hardly need to see it. There are many features in Windows 8 that work great without ever launching a Metro app. Still, credit must be given to the Windows 8 team for the improvements to the UI in 8.1. The addition of a single wallpaper for the desktop and start menu really go a long way to unify the Windows 8 UI with the rest of the OS. The new variable tile sizes make the Windows 8.1 Start Menu that much better for quick access to information and organizing commonly used apps. The updated wallpaper and tile size options on the Windows 8.1 Start Menu. It’s not perfect, but the updates in Windows 8.1 are a step in the right direction. I’ve given up the old Start Menu for good. Thanks for reading. What do you think about the new features in Windows 8.1?